Prospecting is a VERY important part of your network marketing business, probably the most important skill you can develop. You need to prospect (online or offline) so you have people to share your products and business opportunity with, so you can grow your business. However, there is a RIGHT WAY and a WRONG WAY to prospect. And most people do it the wrong way. Today, I want to share my secret MLM prospecting tip with you. This is something I learned a long time ago, mostly through trial and error. Some of the top earners also talk about it in their training. Here is the the secret tip: don’t try to recruit or prospect someone when you first meet them. Have you ever been approached by someone at a book store, a store, the library or any other place, only a few minutes later to have them pitch you on their business opportunity? If so, how did that make you feel? Did you like it? I’ve had this done to me hundreds of time (and I used to do it myself). And personally, I hated it when people did it to me. I felt like the only reason they were being nice to me and talking to me is because they wanted to sell me something. When you do start “pitching” someone right away when you first meet them, it turns the other person off to you AND network marketing. It gives our industry a bad reputation. It makes you look like an amateur. And the prospect thinks the only reason you are talking to them is to recruit them (which is probably true). 1. They show a genuine interest in the other person. Professional network marketers take the focus off of themselves and show a genuine interest in the other person. They look the person in the eye, smile, and are nice to others. 2. They focus on making a friend. 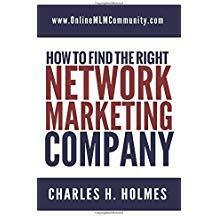 Network marketing professionals focus on making a friend. They know that you can make a lot more friends by being genuinely interested in others, rather than simply focusing on yourself (thanks for teaching me that Dale Carnegie). 3. They ask questions and listen. This is a simple one. You have two ears and one mouth for a reason. Use them in that order. 4. They don’t talk about what they do. Professional network marketers get the other person talking about what THEY do. They ask questions about the person’s profession, how long they have been doing it and if they enjoy it. 5. They exchange business cards or get the other person’s business card. The BEST thing to do is simply get the other person’s business card and ask if it would be okay to send them an email, or give them a call, at a future date. Getting the other person’s business card is MUCH more important than simply giving them your business card. Give them your card and they probably won’t call you anyway. Get their card and you can call them whenever you want. 6. They follow up with the person at a later date IF the person is a good potential prospect. Once you have their business card or contact information, you can follow up with them if you want to, if you think they will be a good team member. Be a professional network marketer. When you are out prospecting in day to day life, or online, don’t go for the jugular the first time you meet someone. Focus on making a friend first. Show a genuine interest in the other person and get to know them. When the time is right (a few days or few weeks later) by all means mention your business opportunity and what you do for a living. Do that and they will be MUCH more receptive to your offering. What do you think about my secret MLM prospecting tip? Leave a comment and let me know. It is so important to carry business cards at all times. It gives you credibility and is a great way to spark interest in what you do. If you exchange numbers and instead say ‘here, my number’s on the card’ they will look at it and ask YOU what you do. This makes it their idea instead of coming off like a pitch and therefore scaring them off or turning them off.